How to: Find people on Internet? You’ve seen it in the movies: the protagonist need to know more details about a person, write a name on the screen, wait a few seconds, which are endless, and, finally, the information appears as if by magic. Every day we share many personal details online. These pieces of information scattered countless places, are pieces of a puzzle that can be collected and fitted to obtain all kinds of information about other people. If you want to investigate the whereabouts of a person, the first thing you need are minimal data to start the search. If you know your full name, that makes things easier, but not always will. We must turn, then, to other data, some of them quite elusive. If you only have a picture, things get complicated somewhat. While there are a number of web pages that allow you to find similar images as GazoPa, TinEye or Ideeinc, effectiveness finding anonymous people is quite low. Try cropping it to only see the face. If you find yourself in this situation, your best bet will be browsing social media company names such as Facebook, and look for people who believe they can meet this person, looking at your photos and your friends. A hard task. Do not forget to check the EXIF metadata of the photograph with specific tools, often contain dates, the name of the owner of the camera and, sometimes, even GPS coordinates, you can enter directly in Google Street View and Panoramio to confirm the appearance of the place. The IP number is the address of a device on the network. There are several ways to do this: hit counters, email headers, P2P file sharing, and so on. Many addresses are dynamic, ie randomly allocated among users of a service provider, but others are static and belong to a single router or machine. With the IP number you can do many things. For example, see the geographical location via GeoBytes, discover the service provider or, if it is an institutional IP, the organism in which that person works, in which staff directory, usually public, you can find the person in question minutes. Achieved a name or a nickname, things will improve. A Google search will return records server and forum threads where that IP showed up, for, from them, rebuild tastes and topics of interest of the person sought. Something more radical is the IP scanning with nmap or Fing, and the attempt to connect to that machine services. Besides how hard it has become in recent years (firewalls do wonders), I advise against this method unethical. Your goal is to learn as much as you can: the nick is not enough. 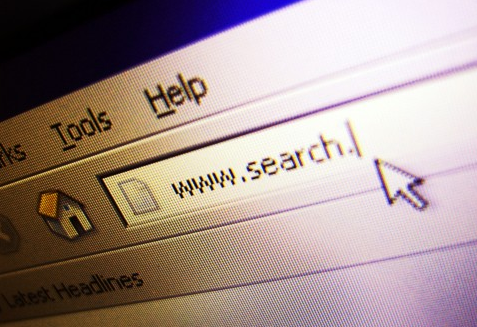 “Googling” their nickname may find the profiles of your “victim” in forums or social sites. It is the most remote possibility, but do not dismiss it if it is the only clue you have. Some forums, like this of LoQUo, serve precisely to locate people seen in public places. Do you use the subway in a big city? Try SubMate. Thanks for sharing important information. its very useful information for me. Great any articles about innovation of something about everything.